The Next Phone To Support HSPA+ ‘4G’ Technology? 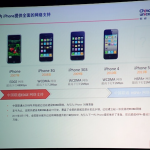 Japanese IT news site "PC Watch" tells that, Research vice president of China Unicom, Huan Wenliang, told iPhone 5 will support W-CDMA based high-speed data transfer standard HSPA Evolution "HSPA+" (21Mbps) at keynote speech in Macworld Asia 2011. AT&T has rolled out the intermediary HSPA+ technology as a bridge to LTE, and has been calling HSPA+ "4G" in its marketing -- though many believe "3.5G" is a more accurate description. So, existing AT&T iPhone 4 owners upgrading should be able to see a speed boost if they live in a supported area. In comparison, Verizon's data speeds max out a theoretical maximum of 3.1 Mbps. 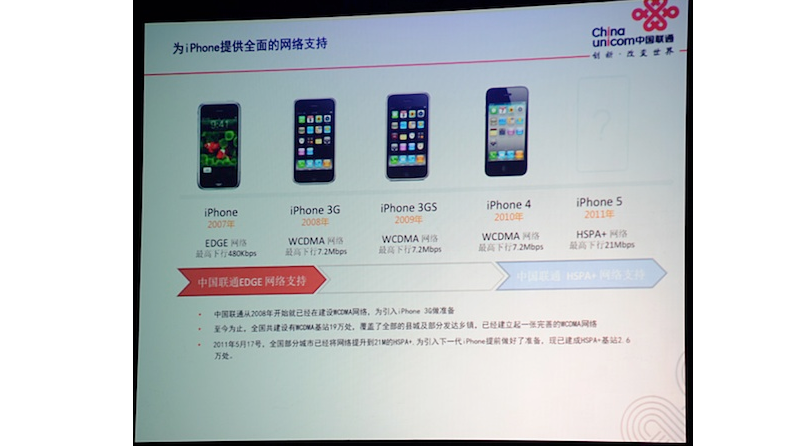 Meanwhile, true 4G (LTE) support for both Verizon and AT&T is not expected until the 2012 iPhone model at the earliest. Any bump in connection speed on the next iPhone would be nice. Of course, unless your carrier is actually offering the service and doing so where you live, this news, if true, could mean nothing for most users. As a reminder, Apple will announce the next-generation iPhone on Tuesday from Cupertino, California. We’ll keep you updated.